Let's support the peaceful revolution in Burma. everyone single person on the earth deserves peace no matter wat race or where they live at. 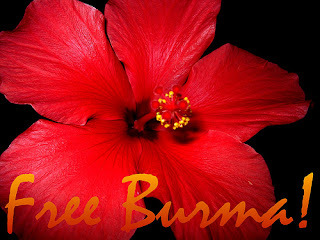 this banner is goin to stay in My Blog to support "Free Burma "